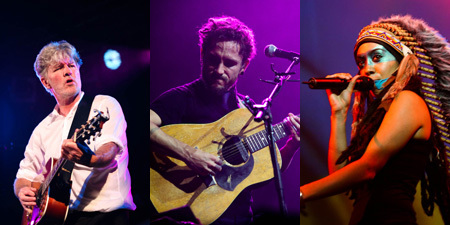 FINAL artist announcement for Bluesfest 2011’s outstanding lineup of star performers! March 16th 2011 – Here it is folks, the final artist announcement for Bluesfest 2011. As you can see, we’ve definitely saved some of the best till last with these stellar talented musicians, so if you weren’t excited before, you will be now! Tickets for Thursday 21 and Tuesday 26 April are still available – don’t miss out, the clock is ticking and it’s only a bit over a month until Bluesfest finally kicks off! The whole lineup has become picture perfectly clear with the official downloadable Bluesfest Playing Schedule now online at www.bluesfest.com.au . That means you can now make all those big decisions and plan your complete Bluesfest itinerary. Check it out for all artist times and stages – download it, print it out, circle your options – whatever you need to do to make sure your Bluesfest 2011 experience is all set to go in glorious fashion! Please note that on Tuesday April 26 Bluesfest will open its doors at 11am, music starts at 2pm and finishes at 10pm, allowing everyone to get home in plenty of time for work the next day. 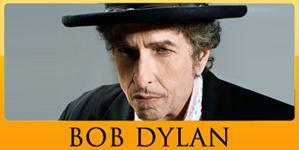 Bluesfest 2011 consolidates supersonic line up with class 2nd artist announcement! Bluesfest from Byron Bay, Australia’s favourite counter-culture, family-orientated, artistically diverse music festival, today unveiled its SECOND artist announcement – and what an array it is of classic and contemporary blues, soul, funk, reggae and much more! Tickets are on sale for Bluesfest, the 2010 Australian Event of the Year, and are selling very fast. The festival dates next year over Easter are from Thursday April 21 through to Monday April 25, 2011. 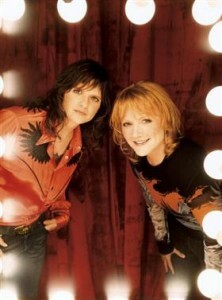 The INDIGO GIRLS – the world’s most popular female folk rock duo will be delivering their distinctive sound in concert halls around the country when they return for their fourth Australian tour in April 2011. For more than two decades, Indigo Girls: Amy Ray and Emily Saliers have presented some of their best music in front of cheering crowds – sometimes in the cramped confines of a small club, sometimes in a vast arena packed with thousands. 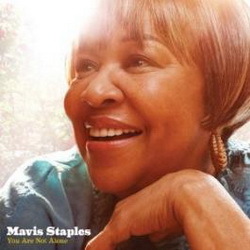 Bluesfest 2011 unveils joy and wonderment with signature super 1st artist announcement! Has the Australian Event of the Year just initiated the music Lineup of the Year? November 04th 2010 – Bluesfest from Byron Bay, Australia‟s favourite counter-culture, family-orientated, ethnically and artistically diverse music festival, has today announced a whopper of a signature first artist announcement – and it’s the first of many! Tickets are on sale now for Bluesfest – which just won the Australian Event of the Year for Bluesfest 2010 – and festival dates next year over Easter are from Thursday April 21 through to Monday April 25, 2011. Once again, Bluesfest 2011 offers its passionate fans a very tasty – almost holy – array of simply the best local and international blues and roots music with its renowned blend of multi-genre, multi-demographic and multi-generational sounds. Little Bushman, Tony Joe White, Indigo Girls, Eric Bibb, Ash Grunwald, Ruthie Foster, C.W. Stoneking, Jeff Lang, Saltwater Band, and RocKwiz Live. After a successful Bluesfest’s 21st birthday celebration event during Easter 2010 – planning for Bluesfest 2011 is now in full swing. 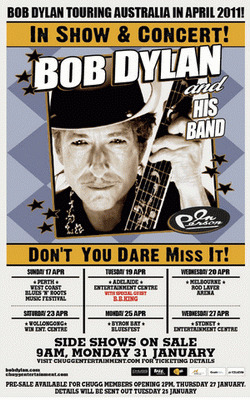 The 22nd annual Bluesfest 2011 event will take place over five days between April 21 and April 25, 2011, once again at the festival’s new permanent site at Tyagarah, 12 minutes north of Byron Bay. New awards and nominations for Bluesfest include: recognition as an international winner in The Greener Festival awards – for the fourth year in a row – a continuing tribute to the event’s long-term commitment to environmental sustainability. Bluesfest has also picked up a Silver Award in the ‘Major Festivals and Events’ category in the North Coast Tourism Awards. And lastly, Bluesfest has been nominated as finalists in the Australian Event of the Year Awards in two categories: ‘Best Cultural or Arts Event’ and ‘Best Achievement in Sustainability’. April 6th 2010 – Last night at the Tyagarah Tea Tree farm 12 minutes north of Byron Bay, five incredible days of blues and roots music from all over Australia and the world drew to a close, capping off a 21st Anniversary birthday party of infectiously good music and signature Bluesfest spirit. Blessed with glorious sunshine and the occasional cooling shower, approximately 80,000 fans from 30 different countries walked through the entry gates over five days of blues, rock and roll, alt-country, world, soul, reggae, funk, Latino and roots music. Bluesfest 2010 artist Bela Fleck wins his 12th and 13th Grammy Awards! Major upcoming Bluesfest 2010 draw card and virtuoso musician Béla Fleck has just won his 12th and 13th career Grammys at the 52nd Annual Grammy Awards that took place on January 31, 2010 in Los Angeles. The awards were “Best Contemporary World Music Album” for his latest album Throw Down Your Heart and “Best Pop Instrumental Performance” for the album’s title track Throw Down Your Heart. It seems that Australians just can’t get enough of The Fray. The band’s last tour in March sold out in every city well in advance of the shows, and the performances themselves gripped crowds across the nation. Luckily, The Fray can’t seem to get enough of us either. With that in mind, The Frontier Touring Company is very pleased to announce headline shows for the multi-platinum-selling band in addition to their performance at 2010’s Bluesfest in Byron Bay. News: Another electrifying artist announce for Bluesfest 2010! The second major round of artists to perform at the 21st Anniversary Bluesfest has been announced! Australia’s most awarded and internationally renowned festival officially will be held at its permanent new home – at the Tyagarah Tea Tree farm just off the Pacific Highway, 12 minutes north of Byron Bay. The Easter weekend dates for your diary are Thursday April 1 through to Monday April 5, 2010! 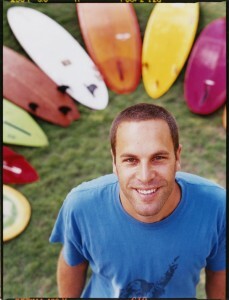 Bluesfest unveiled a major new announcement – that Jack Johnson will be the headline artist at the Bluesfest 21st Anniversary festival held in Byron Bay over Easter from Thursday April 1 through to Monday April 5, 2010. Jack Johnson’s exclusive 2010 Bluesfest appearances mark his first Australian appearances since March 2008, and his first Bluesfest appearances since 2005. These hotly anticipated Bluesfest performances are truly special as there will be no other Jack Johnson Australian shows on this tour!